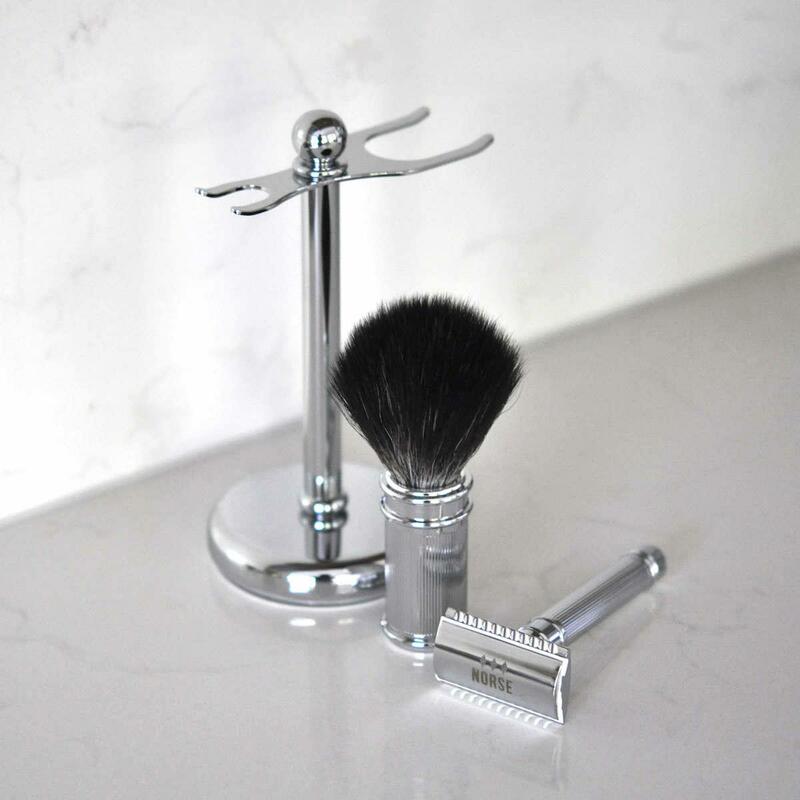 Zero waste shaving couldn't get any better than this premium eco shaving kit which is built last in the UK using high quality steel, brass and chrome sourced from Sheffield. 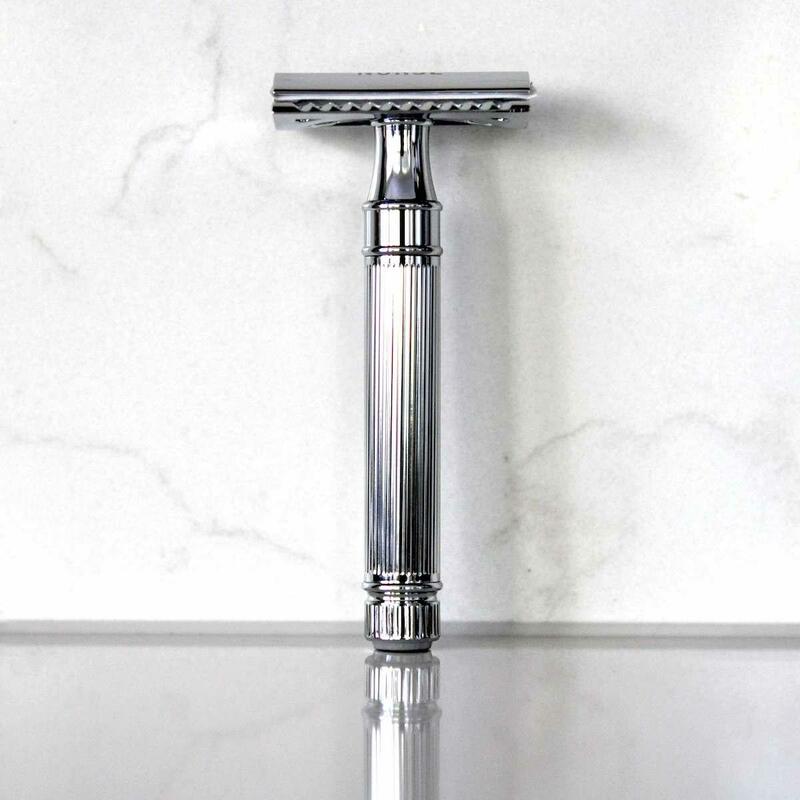 Double edge safety razor - This razor is perfectly balanced and the weight of the razor will do most of the shaving reducing skin irritation, for men this means less in-growing hairs and spotting around the neck for women no itchy grow back. 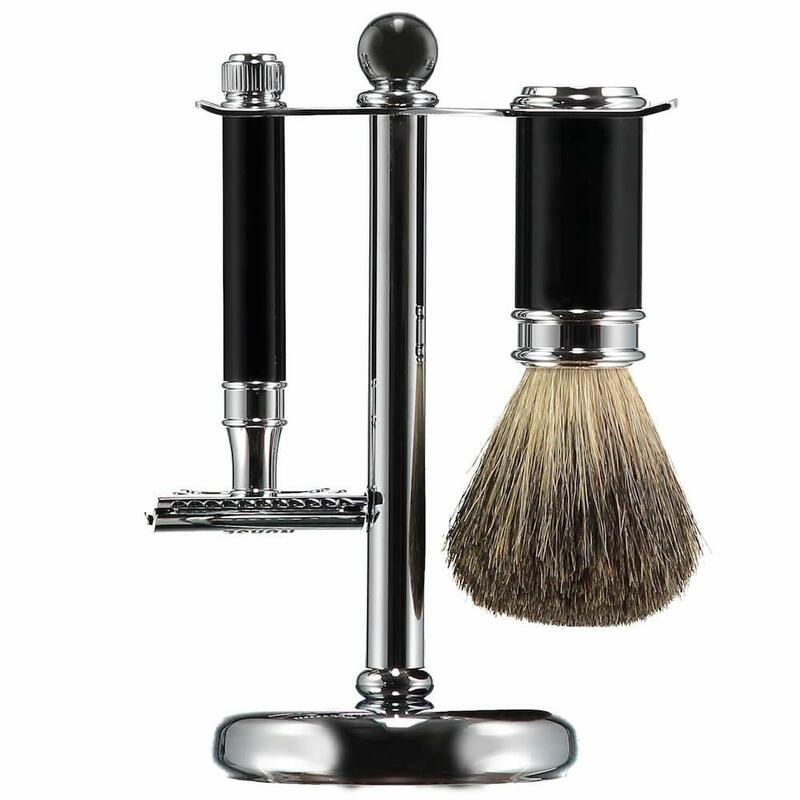 It is available in three finishes, the classic chrome finish is plastic-free and the ivory and ebony option finish is made using recycled plastic. 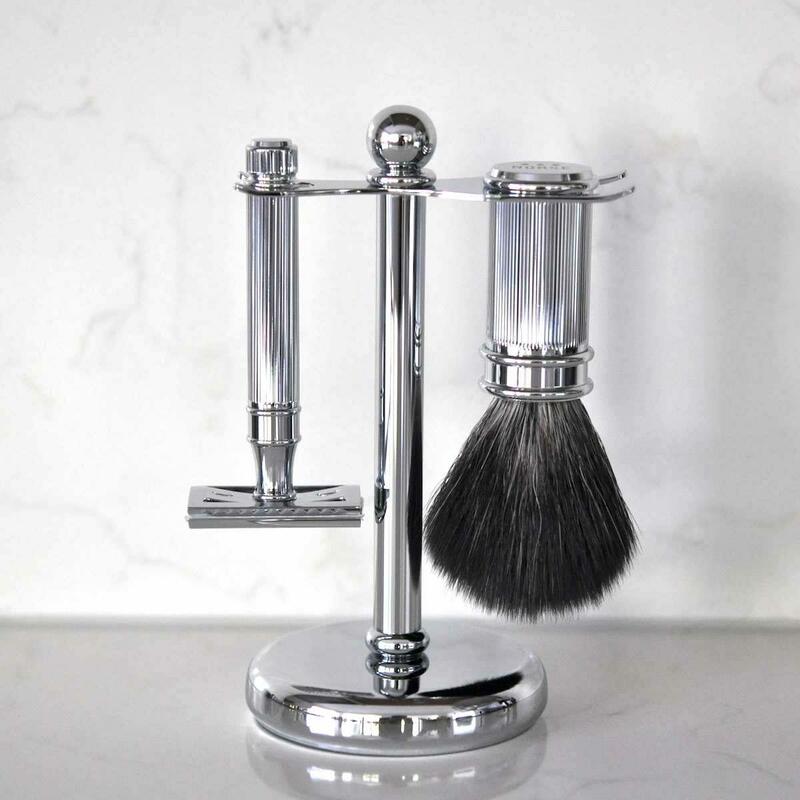 Norse shaving brush - Also made from recycled plastic, shaving brushes are traditionally made from badger or boar hair, these are made from a recycled synthetic fibre which performs better than the traditional materials and most importantly does not harm animals. Stand - The finishing touch to the set which makes it easy to keep everything together in place. 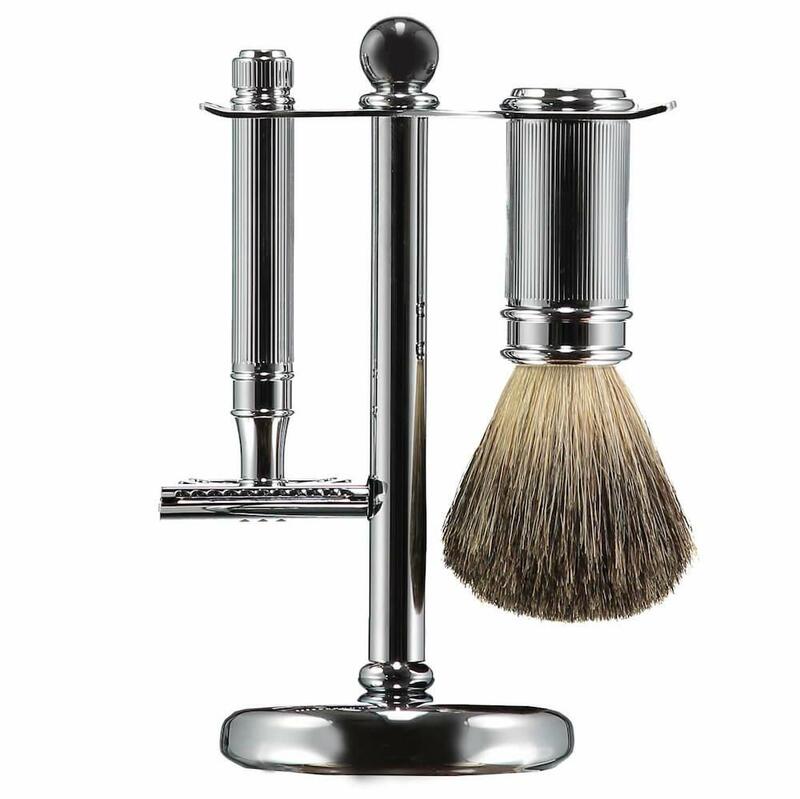 Chrome - Steel, Brass & Chrome. 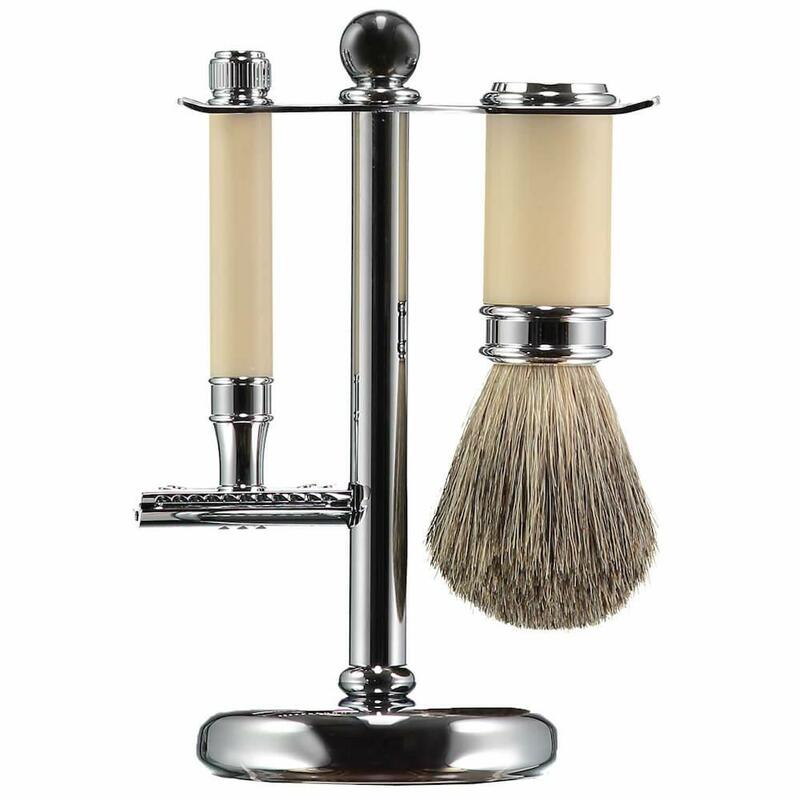 Ivory & Ebony - Steel, Brass, Chrome, recycled plastic. Product packaging - Kraft paper box. 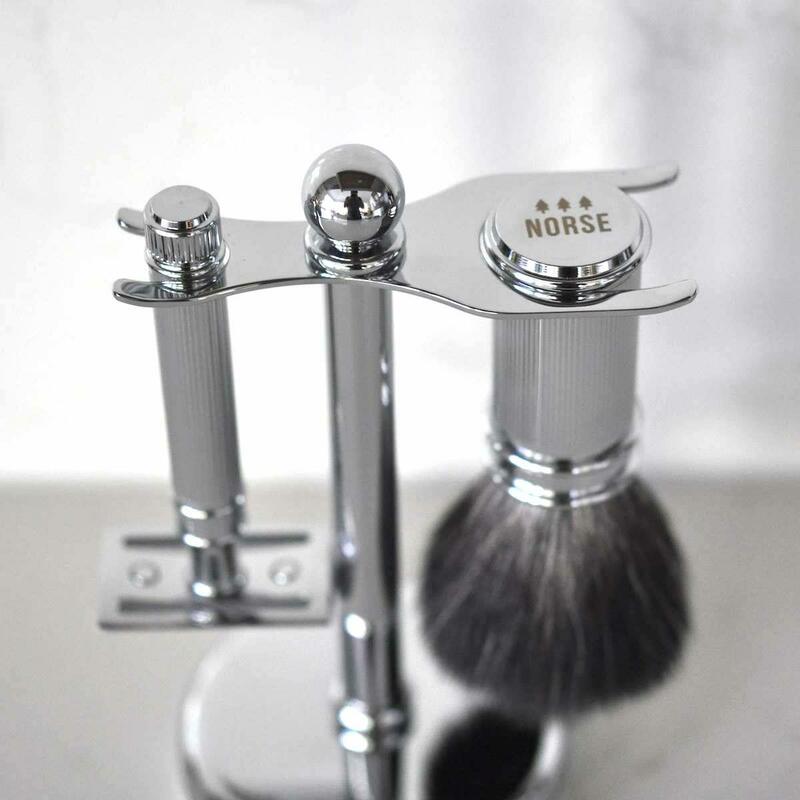 Norse make eco shaving and grooming products which are all handmade in the UK using sustainably sourced and ethical materials. 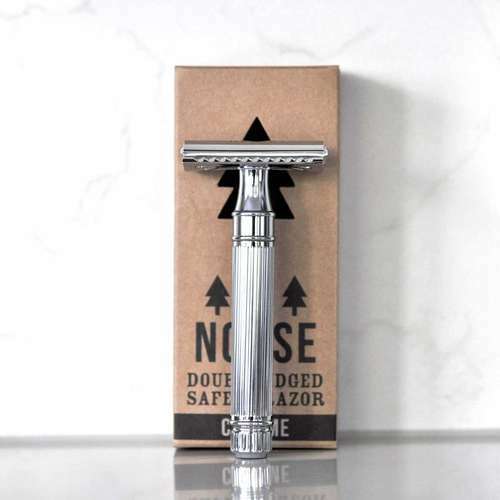 In a bid to reduce plastic waste when shaving, Norse have released a range of zero waste safety razors and shaving sets and all product and delivery packaging is plastic-free. Postage Packaging - Recycled cardboard box packed in tissue paper.